If you’re watching live television without the aid of a smartphone or tablet, you’re missing out. There’s an entire world of apps out there designed to enhance your TV watching experience. And, all marketing hype aside, some of these apps are actually pretty darn good. Want to give the “second screen” experience a try, but don’t know where to start? 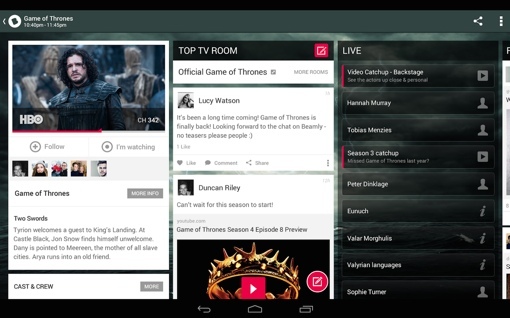 Here are some of our picks for the best second screen apps for watching live TV. If you’re looking for a place to chat it up about your favorite shows, we like Beamly TV (formerly Zeebox). The app allows you to easily find what shows are on now and connect with other people looking to chat about them. It also lets you follow shows and celebrities to keep up with the latest news and upcoming broadcasts. As a close second place for Top Social TV App, we like Twitter. Most shows have active communities on the social network that you can find by using the show’s hashtag (i.e., #Scandal). Plenty of TV hosts live chat during their shows’ airings, too, so be sure to search for your favorites. Whether you’re watching television or movies, the go-to source for information is the Internet Movie Database, or IMDb for short. 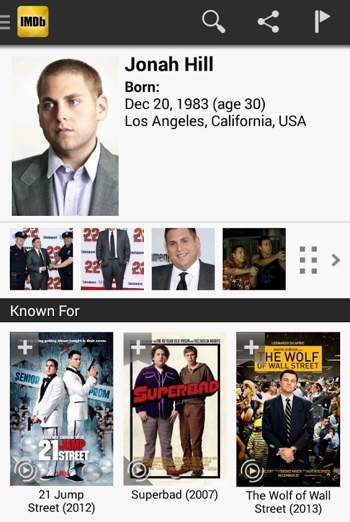 The IMDb app contains cast info, shooting locations, soundtrack info, key quotes and parental guides for specific series. There are also links to the latest episodes of your favorite shows – if you’re willing to pay to watch them, of course. There are many apps available for each individual sport that delve into stats and schedules and news, but theScore does that for every major sport imaginable. From American favorites like the NFL, MLB, NBA, NHL, PGA and NCAA, to some you wouldn't think of like NASCAR and Mixed Martial Arts to soccer leagues from around the world. 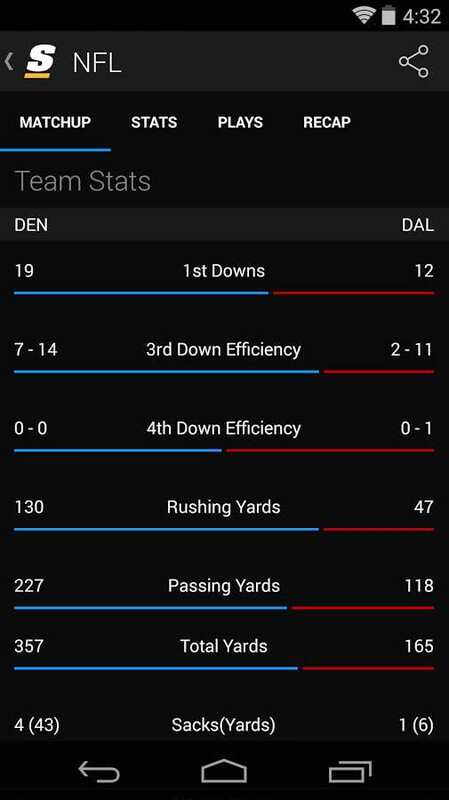 Once you set your favorite sports and teams the app delivers real time updates of games including stats on top players or, in the case of baseball, stats of the pitcher on the mound and the player up to bat at that very second. You could be watching just about any sport being broadcast and learn something about it at the same time with this app. Add to that the constant up-to-date news stream, ability to Tweet about a game or event directly from the app and a scheduling feature that can put an upcoming game on your calendar and you have yourself a sweet little sports app that does it all. Looking for something to watch? Sure, you could press the Guide button on your cable box and use its clunky remote to scroll through pages and pages of poorly designed text. Or, you could use Peel, a TV schedule app that does double duty as a universal remote for your TV. That’s right – just find the show you want to watch on Peel, tap it, and it’ll start playing on your TV. Cooler still, Peel will learn what shows you like as you use it so your favorites will always be front and center. Want to make a little bit of money while you kick back and watch TV? If so, check out the Viggle app – it turns TV time into valuable rewards like gift cards. Each time you watch a full episode of a TV show, the Viggle app will auto-detect it using Shazam-like technology and check you in automatically. Each check-in earns you points, which are redeemable for prizes or contest entries. There are plenty of opportunities to earn bonus points by watching commercials and answering trivia questions. These points are slow to accumulate, though. You’ll need to do a week or two of TV watching just to earn a $5 gift card. Still, if you’re watching anyway, Viggle’s a nice way to earn yourself a little treat. Many smaller providers have second screen apps too. Visit your local cable provider’s website for more information. Finally, be sure to look for the apps of your favorite TV channels. You can watch full episodes of your favorite shows on the History and Comedy Central apps, catch up with Game of Thrones on HBO GO, view game highlights and live streams with WatchESPN and participate in Bravo’s Play Live interactive content. Remember, though, you'll need to authenticate an active pay cable subscription to get the most out of these apps. I’d love to get your opinion of this. A truly eclectic set of channels to choose from.